Note of February 7, 2017 - check the comments section for information on the location and houses in this image. 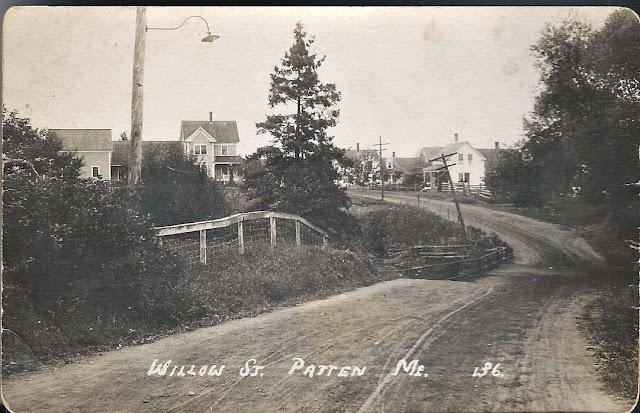 Early 20th century postcard of Willow Street in Patten, Maine. The scene shows electric poles, which may help a reader to winnow down the era of the photograph. Located in northern Penobscot County, Patten offers jaw-dropping views of Mt. Katahdin in Baxter State Park and other mountains and lakes in Penobscot, Piscataquis and Aroostook Counties, and possibly Washington County, as well. Patten is home to a wonderful museum, the Patten Lumbermen's Museum. 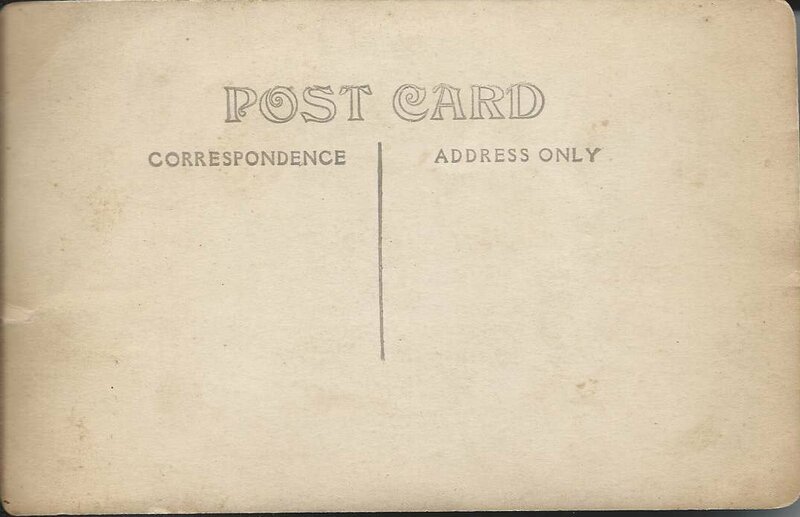 I wonder if the streetlight in the foreground was located at an intersection, perhaps with Main Street or Gardner Street. The section between Gardner Street and Main Street is now known as Founders Street, but Founders Street may be a relatively recent name. If you have knowledge of the Patten area or can name people who lived in the houses shown in the photograph, please leave a comment. Thanks! This photo is taken from the intersection of Gardner Street and Willow Street. Gardner St. runs parallel to Main Street; they are connected by Carver, Scribner, Church, Founders, and Houlton Streets. This view would be closest to Founders Street. The first house you see was formerly owned by Mabel Philpot and is now owned by Ted and Terry Pettengill. I am writing a history of Patten and Mount Chase. Would it be all right if I included this photo in my book? I could not figure out how to fill in information below, so selected anonymous. However, you can respond to me at kdcoolong@gmail.com or by phone 207-528-2649. Am contacting you by email. What a wonderful project!